U.S. Army & U.S. Air Force Veteran. 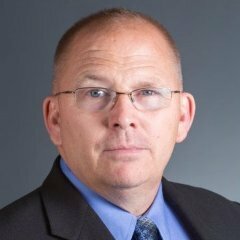 Managing Editor, In Military & InCyberDefense. Speaker, filmmaker and veteran advocate. When non-military civilians buy a new home, they live there for an average of 15 years. During that same time period, a military family will have moved three to four times or more. After arriving at Tinker Air Force Base in 2003, for example, my wife and I discovered that the waiting list for on-base housing was 12-14 months. We then began looking for home rentals in the Oklahoma City area and found a decent home that met our needs. In addition, the Basic Allowance for Housing (BAH) provided by the Air Force helped to cover the rent on the property. The only problem was that the house was 35 miles away from base, resulting in a lengthy daily commute. After a year, we were notified that we were next on the list and began to make arrangements to move on base. However, many servicemembers in jobs that may provide more geographic stability, like medical or security forces, choose to buy instead of renting or staying on base. The Internet has leveled the playing field when it comes to buying or selling a house. 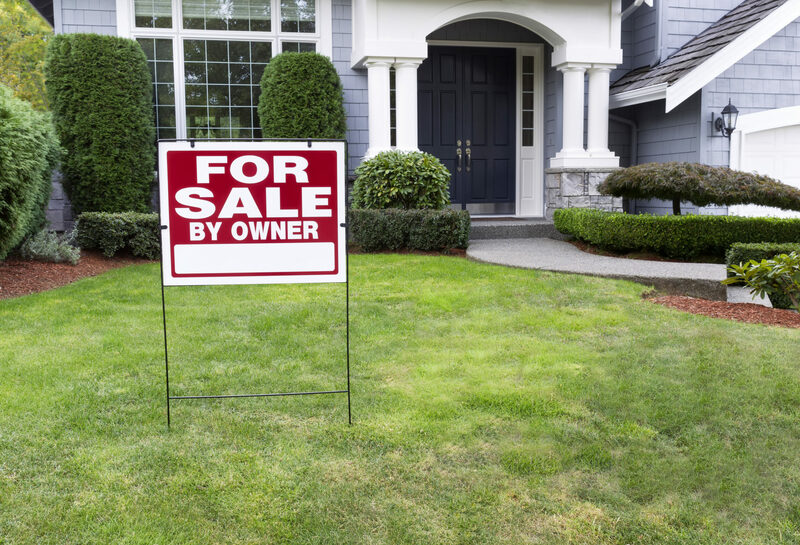 In a typical real estate transaction, the servicemember pays a commission for using the services of an agent or broker to market a home, negotiate, handle paperwork and complete the transaction. In December of 1999, Marine Corps veteran David Gran realized the difficulty in building equity in a home for servicemembers who move frequently. 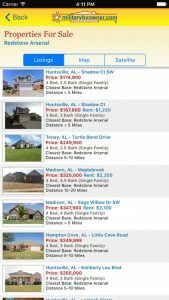 Together with his wife Sharon, David built MilitaryByOwner, a site that provides a comprehensive, low-cost means for military servicemembers and their families to advertise their homes for sale or rent. I recently had the good fortune to chat with David about his entrepreneurial journey and his insights proved extremely valuable. Wes O’Donnell: David, thanks for your time today. I know our audience is excited to hear about how you built MilitaryByOwner. Can you start by telling me a little about your military background? David Gran: Thanks for chatting, Wes. I saw you speak at the Military Influencer conference last year in Dallas. My dad was a Navy pilot who flew the Lockheed Super Constellation primarily as a sub hunter. He would sometimes have friends over and I was raised hearing these sea stories. I knew that I wanted to fly someday. I then attended college and became a civilian flight instructor. One day while on campus, I bumped into this Marine in dress blues, asking if I knew anybody who would be interested in flying high-performance aircraft. It was that encounter that ultimately sent me to Officer Candidate School. After I graduated in 1983 and got commissioned with a flight contract, I failed the eye exam. I went on to become an artillery officer with 4th Battalion, 10th Marines, operating a battery of M198 howitzers. After that, I went from artillery to serving as an intelligence officer, where I worked as S2 for an infantry battalion for a while. Editor’s note: The S2 officer is responsible for the unit’s intelligence operations and security. I was also the G2 for Marine Forces Europe out of Stuttgart, Germany. My last job was in Quantico and then I retired. Editor’s note: The designation G2 comes from the continental staff system, a form of military organization used by the United States and NATO countries. The G2 is one of several elements in a unit’s command staff. G1 – personnel. G2 – intelligence. G3 – operations. Wes: In the early days of your business, how did you build credibility? How did you rise above other “by-owner” businesses? David: In the early years, we really looked hard at the military niche. In the early 2000s, there were other by-owner sites. A few had a national focus and some had a regional focus, but none filled our military niche. Word of mouth helped a lot in the early days to build credibility. Also, we wanted to be more than just a website. We wanted to have a phone number that people could call, and we had some military spouses on staff to act as customer service. There was one instance where I received an email from a Army major and he stated that he had a buyer from another source the same day that he put the ad on MilitaryByOwner. He then asked if he could have a refund for his ad spend. I replied that yes, of course he could have a refund. He rewarded our giving him a refund by sharing that fact with his address book. Wes: That’s awesome. Good customer service is one of those things that’s so easy to do right, but so many companies screw it up. There are so many companies who, in your place, would have said “Sorry, it’s our policy not to give refunds.” If more companies would behave in a relational manner instead of transactional, such as ‘What can I do for you?’ instead of ‘What can I get from you?,’ I think they would be much more successful. Wes: So, you mentioned military spouses working for you. How do you find good people to bring into your organization who have the same values that you do? David: We currently have about 20 employees. Most are military spouses or have a military spouse background. As far as recruiting, it really is simply word of mouth. We are also one of the sponsors of the Military Spouse Fest and we occasionally recruit guest bloggers who eventually get hired on full time. Wes: Let’s talk about funding. A barrier for a lot of veterans wanting to start a business is lack of funding and some otherwise brilliant veterans may not have the credit score to secure a bank loan. How did you fund MilitaryByOwner? David: Remember, when we started MilitaryByOwner, people were still using dial-up modems to access the Internet. I went out and bought Microsoft FrontPage for about $130. Editor’s note: In the late stages of Web 1.0, Microsoft FrontPage was a “WYSIWYG” (What You See Is What You Get) editor that was designed to hide the details of pages’ HTML code from the user, making it possible for novices to create webpages and websites easily. It was discontinued 11 years ago. We grew the company organically from day one and never went into debt. Today, we have lines of credit, but that’s primarily for normal business operations. I think we charged a couple of ads from time to time on our personal credit cards. Otherwise, funding wasn’t really an issue. 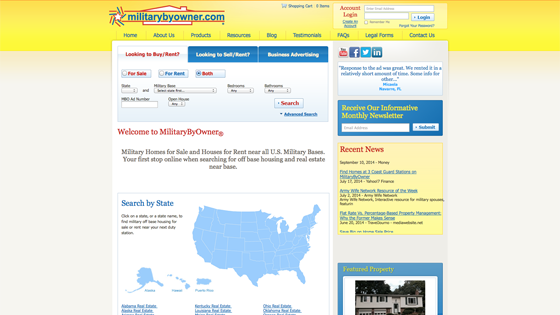 To be sure, MilitaryByOwner has been a very long-term and slow-growing business. I think one of the issues today is that younger entrepreneurs want to run out and secure venture capital funding. There is no shame in doing your business on the side while it grows. Wes: Interesting you mention that. After a dozen or so interviews with different entrepreneurs, they seem to be split 50/50. Half say go ‘all in’ and the other half say do it as a side hustle. David: No shame in a side hustle. Wes: If you had to start all over from scratch, is there anything that you would do differently? Or did you nail everything the first time? David: You know, if I started MilitaryByOwner today, we would have been able to grow a lot faster. The tools available today to build a website and a business are amazing. But because of that, we’re flooded with entrepreneurs. To answer your question, I think we wasted some money on advertising that we didn’t test properly. Otherwise, nothing I would do differently. Wes: What book are you reading right now? David: I am reading Team of Rivals by Doris Kearns Goodwin. Most of my books revolve around business, military history, science fiction and biographies. Actually, I should mention a business book that I recently read that changed the way I think about profit. It is called Profit First by Mike Michalowicz. I recommend it to everyone. Wes: David, thanks so much for your time today. David: My pleasure, Wes. Stay in touch. Are you a servicemember looking to buy, sell or rent? Take a look at MilitaryByOwner.